Ponytail Palm is an evergreen perennial growing up to 15 ft tall with a noticeable expanded stem base, for storing water. Despite its common name, it is not closely related to the true palms. The single palm-like stem produces at branch-ends clusters of strap-shaped, recurved leathery leaves. 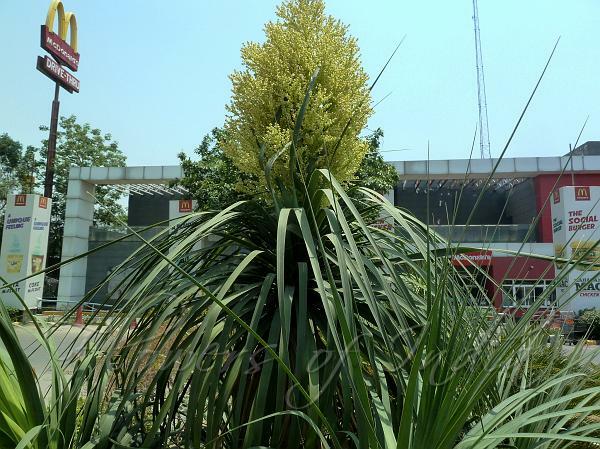 The plant blooms with panicles of small white flowers once the plant reaches over 10 years of age. 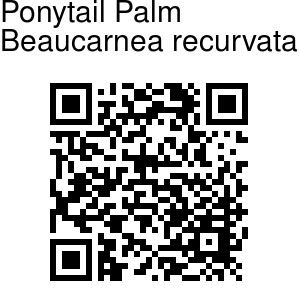 Ponytail Palm is often grown as a houseplant or outdoor plant in temperate climate gardens. The plant is native to Mexico. Photographed in Noida, Uttar Pradesh.